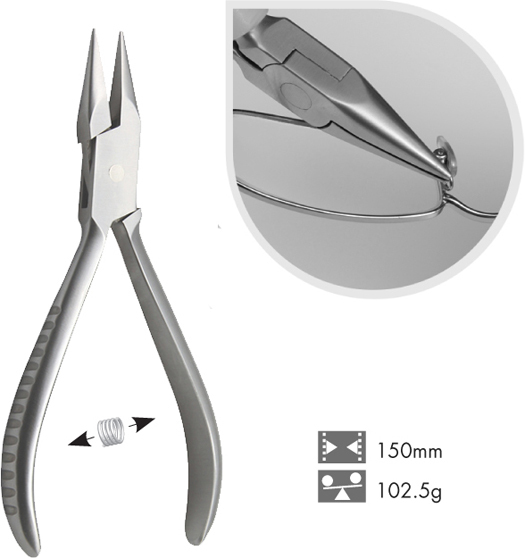 A short nosed pliers with a precision jaw which can bend guard arms for proper nose pad adjustment. In addition, pliers can be used for frame repairs and maintenance adjustments of eyewear. Stainless steel construction with ribbed handles for comfort and control.